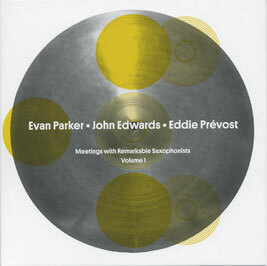 Evan Parker, tenor saxophone; John Edwards, double bass; Eddie Prévost, drums. Recorded at Network Theatre, Waterloo, London on 30 May 2011. Design (front cover reproduced above) by Myah Chun; cymbal photograph by Tom Mills.